With its current production plan, BP doesn't seem to be heeding the advice of its own CEO. BP (NYSE:BP) CEO Bob Dudley was one of the first people in the oil and gas space to use the term "lower for longer" to describe his view on oil prices. So far, that has been a fairly true statement. Despite a slight rally this past spring, oil prices have pretty much remained below the $60 range all year long. This low oil price scenario has hit BP's profitability particularly hard. Last quarter, the company reported that its earnings from oil and gas production declined 94% compared to the same quarter year over year. In response, BP has been reworking its portfolio to be able to stay afloat in a "lower for longer" environment, but to what extent? Let's take a look at why BP has been struggling so much with this low price environment and what to look for in its coming earnings release that might indicate some changes for the better. For a company like BP to map out its spending plans for years in advance, it needs to make some assumptions about the price of oil in the future. After all, some of the more expensive sources of oil today -- deepwater and shale -- are the ones that integrated oil and gas companies have access to. It's a balancing act, though. If you assume the price is too conservative, you may be missing out on some growth opportunities. Assume too high, however, and you are left with a slew of projects that are not generating a return. While they don't line up 100%, companies that have more conservative price assumptions built into their production plans -- ExxonMobil and Total -- have tended to do better over the past year as their earnings haven't been as affected as some of the others with more ambitious price targets. When you are talking about companies of this size, it can take years to completely transform a production portfolio, so investors shouldn't expect a fast recovery to high profit margins. That being said, there are a few things that the company can do to improve. The first thing to look at is how it has progressed with cutting its operational costs. Last quarter, BP's management stated that it had cut operational expenses by $1.7 billion in the first half of the year, but some of those benefits were negated by restructuring costs. If it can realize those levels of cost savings throughout the rest of the year without the overhang of restructuring charges, it should do wonders for profitability levels. Another component that would help BP's cause would be to lower the price assumption for its production projects. This will very likely reduce its capital budget for the next several years, but bringing its outlook prices more in line with Total's or ExxonMobil's and reevaluating its portfolio from there would ensure a higher level of profitability per barrel of oil, and higher per barrel profits means you don't need as much volume to stuff the income statement. 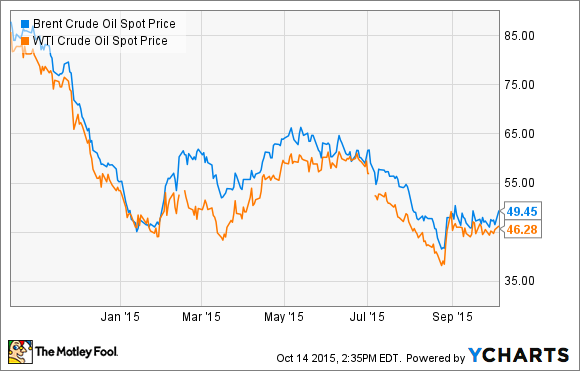 There aren't a whole lot of signs out there that oil prices will be improving significantly anytime soon. You can build a bullish case just as easily as you can a bearish one at this point. So, if BP believes in "lower for longer," then it may need to reevaluate its production portfolio again on a much lower oil price in the future. For investors who want to see BP finally turn the corner after years of setbacks from the financial crisis to the deepwater horizon oil spill, they should look to see if it can truly deliver on those cost-cutting measures and see if they have started to rethink their own future plans with Dudley's oil-price mantra in mind.